I have commented previously on Lord Heseltine's detailed and thought provoking report "No stone unturned" which has received significant endorsement from the government. I attended the Local Government Association's Annual Assembly and Conference in Manchester last week and Lord Heseltine was a lead speaker. His comments were generally well received and it was interesting that he stressed once again his belief that the future of focussed and cost effective local government should be based on a combination of directly elected mayors and unitary authorities. Whilst shying away from a forced implementation of this change Secretary of State Eric Pickles made clear to conference that he believed that it was inevitable that smaller districts would have to come to terms with shared officers or more if they wished to remain viable. Perhaps this was food for thought for colleagues in Rochford as they seek to appoint a replacement for their retiring Chief Executive rather than opening a dialogue as to how the role of senior officers can and should be shared across south east Essex delivering significant savings without adverse effect to residents. I know my door remains open as I am sure are the doors of the leaders of Castle Point and Essex CC. Whilst on the subject of warming up for Village Green I will also be participating in the big charge on Wednesday afternoon along with the council's Chief Executive. 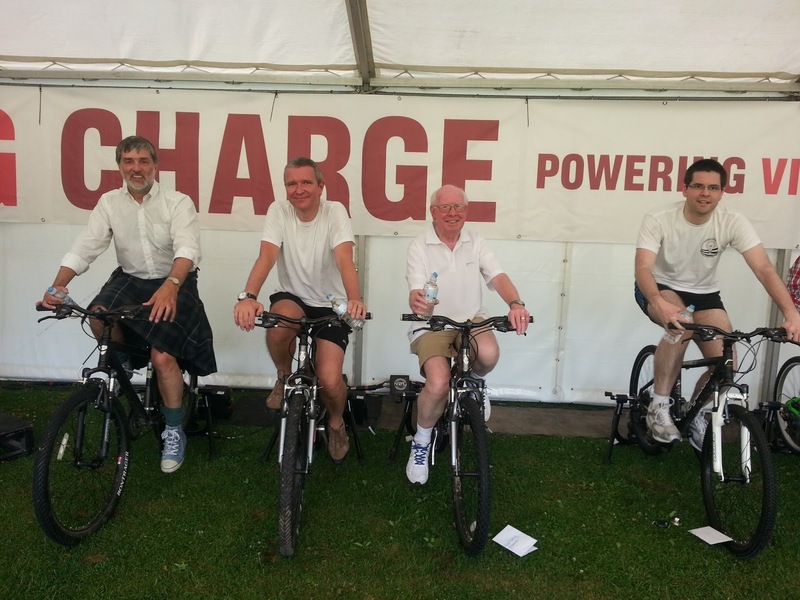 I last did this 3 years ago which involves cycling to generate energy to help power the event. Last time I made the error of cycling in my suit and by the end was not just warm - more overheated. Still I am ready this year and the shorts will be on show!